It has been observed that Sage 300 ERP system has been adopted by most of the small and medium-sized organizations in the world for many years. All types of industry like manufacturing, distribution and packaging, etc. industries have updated the operational and financial activities through this system. This low cost system has helped the businesses grow as an organization and improve the productivity effectively. Due to the importance of Sage 300 ERP, the companies in the UAE also showed their interest in this system. Due to the particular features provided by this system, the people want to implement Sage 300 ERP in their companies in the UAE but the most important thing is the successful implementation. If there are issues with it, the maximum benefits cannot be availed. 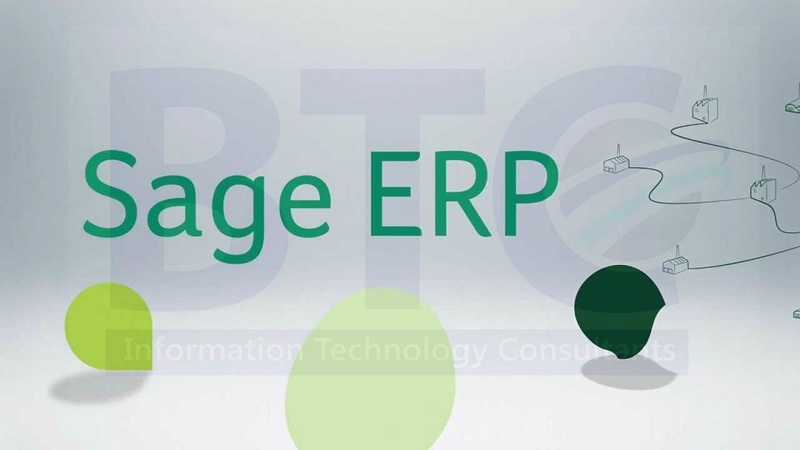 If you are planning to implement a new business software, you need to coordinate with one of the consultants of Sage 300 ERP in the UAE like BTC who will provide you a comprehensive and authentic report through which you will be able to avoid those mistakes which are very common but not discussed according to your business operations. Before starting anything, blueprint is the most important thing so before implementing Sage 300 ERP in Dubai, there is a need of blueprint in which all the steps right from the first stage of the business to the second stage. If you know about the required change and steps through which these changes will be implemented, you will be able to know how this system helps you out in this regard. After finalizing the blueprint, you have to implement the system now. The best practice is to break the project in small phases or chunks. It is also important to draw a deadline as well, so that you will be able to identify the issues and rectify it during the project. It is considered that Sage 300 UAE is perfect and according to the present world business requirements. But, sometimes, you have to face difficulties which are not discussed in the system so you want changes in the system. So, the best practice is to include the change management in the blueprint. It will be good for you when you will need a change so you will do it comfortably and easily. Thorough testing of the system must not be avoided in any case as if you have not addressed the potential errors in the system, you are going to face a headache later. Eliminate lost and stolen assets and reduce insurance costs by gaining visibility and control over your entire fixed asset lifecycle. Sage Fixed Assets with Sage 300 helps you track your fixed asset inventory so you can take control of your business. It also calculates monthly depreciation and do the financial entries. Sage 300 UAE helps you to make the right decisions early by automating and adding visibility to every facet of your purchasing process. Save time by synchronizing process requisitions, purchase orders, receipts, invoices, and returns. Additionally, you can add workflows for authorizing Purchase requests, Purchase orders and Purchase Invoices based on custom criteria. Maintain your employee records, manage your employee payroll, End of service benefits calculation and WPS for UAE companies. With Sage 300 ERP, you can maintain an unlimited number of currencies and exchange rates, get daily updates, and automate the gains or losses from fluctuations. With Sage 300 ERP, ship orders on time, from multiple locations. Simplify your inventory—including shipments, returns, and adjustments—with multi-location inventory tracking and control over. Internal issue of inventory to projects or jobs. Mobile Sales Module of Sage 300 ERP will help you to access your inventory on any mobile device, scan items, invoice to the client on-site and receive payment. Handheld devices can automate your VAN Sales process using the Sage 300 ERP mobile module. For more understanding of this topic, contact our experts.